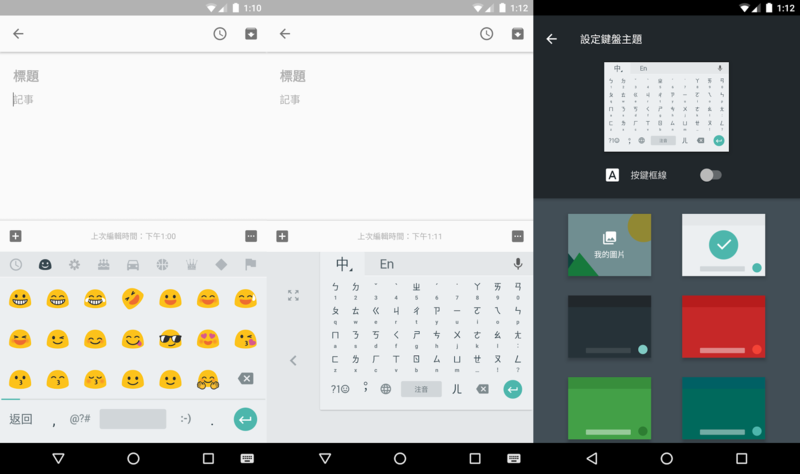 Today, many of these keyboards (namely Pinyin, Korean, Indic, Zhuyin, and Cantonese) have been updated with a bunch of nifty new features — oddly, it seems like the Japanese keyboard has been left out for now. They include support for Android Nougat (why did it have to be called Nougat? ), themes, and one-handed mode. Many of these were added to Google's regular keyboard a few weeks ago, so it's nice to see these keyboards get updated as well. The changelog is the same for all 5 keyboards and is shown below. You can download the update from the widgets below or directly from APK Mirror if you don't want to wait for the staged rollout to reach your device.